Inside Vignettes is available on Apple iTunes, Sticher, Podbean and other platforms and apps. You can also listen via the media player below. Welcome to our second episode of ‘Inside Vignettes’, Vignette, The Employee Experience Agency. As we are working on new content for the Podcast, we thought we’d share a recording of a webinar on IC strategy we hosted with our friends at Poppulo. We produced a white paper covering our thoughts on IC strategy and how to go about wrapping your head around creating one for your organization. If the idea of ‘white paper’ does not float your boat, this podcast is for you. 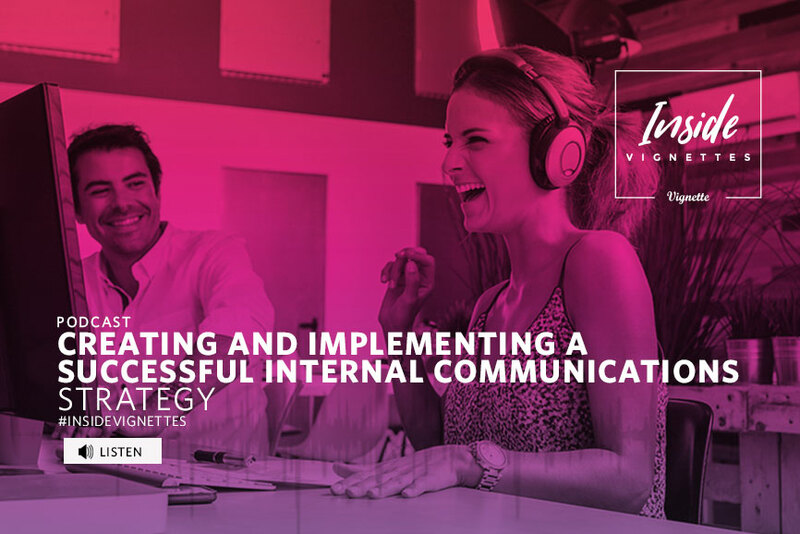 Gregg and Mike discuss the critical importance of having an Internal Communications Strategy – and guide you through the steps for developing and implementing a strategy that places internal comms central to driving business goals. We hope you enjoy and would love to hear your feedback. Please subscribe to the podcast if you have not already. Lastly, if you like what you hear, please leave a review on iTunes. We want to make this better for all of you working in internal communications, employee experience, and company culture. Thanks for listing and enjoy! As a Chief Strategy Officer, Mike leads our team to develop strategy, insights and creative solutions to drive employee engagement for Vignette’s clients. He believes through human-centered design and strategic communications—employees will get behind a brand and its mission.